New caucus rules welcome the growing ranks of independent Senators. In the spring of 2017, the Senate approved new rules to provide funding and privileges to groups within the Senate that are not affiliated with a registered political party. The change followed an October 2016 recommendation by the Special Committee on Senate Modernization in recognition of the growing number of independent Senators who were not part of a political caucus. Until 2016, the Senate of Canada was traditionally composed of two caucuses defined by membership in federal political parties —the Liberal party and the Conservative party. That year, Prime Minister Justin Trudeau began appointing independent Senators — that is, Senators not affiliated with a party — through an open, arm’s length process. That decision raised the question of how independent Senators would organize themselves, given that the Senate rules did not recognize non-party groups. 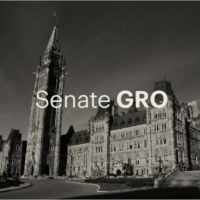 At the time, the Senate rules described a caucus as a group of at least five Senators belonging to a political party registered under the Canada Elections Act. As the number of independent Senators increased, a new group of Senators was formed. On December 6, 2016, the Senate unanimously granted the new Independent Senators Group (ISG) funding for a secretariat, effectively recognizing the ISG as a new type of non-party-affiliated group in the Senate. On May 11, 2017, the Senate adopted a new definition for groups in the Senate: nine or more Senators can either form a caucus made up of members of a registered political party or form a parliamentary group. Each group has a facilitator or a leader. By forming a group, Senators would qualify for funding to support their parliamentary and legislative duties. Each group’s leader or facilitator would also gain additional procedural responsibilities and a role in consultations over Senate organization and business. This change afforded all Senators the equal opportunity to perform their parliamentary functions on behalf of Canadians.